The second promotion code is a special gift you will receive by using the code below. The voucher is only valid on any orders at Wishtrend! 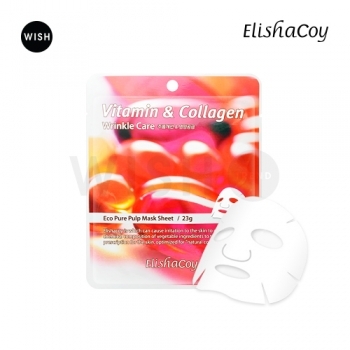 You will receive in addition to the free samples you’ll normally get a ElishaCoy Vitamin Collagen Mask Sheet! Hi Laven! These Wishtrend coupon posts you make are so useful, thank you for making them :). I just ordered the Beige eyeliner and Enca concealer from them and cannot wait to see how the concealer works! I will feel much better knowing the make up I am putting on my skin is not making my spots worse.